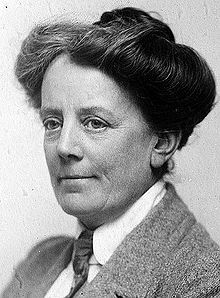 In celebration of Dame Ethel Smyth’s 159th birthday, we present a detailed review of the first ever recording of Smyth’s opera The Boatswain’s Mate, which was released last fall by Retrospect Opera. Dr. Amy Zigler is a noted authority on Smyth (and Assistant Professor of Music at Salem College) and we are happy to have her return as a featured guest blogger. Her previous blog, a review of an exciting performance of Smyth’s The Wreckers is here. Retrospect Opera is dedicated to this essential project: “to allow people to hear great British operas that they may only have read about, by recording them, to the highest standards possible.” The Boatswain’s Mate is their first completed project, which you can learn more about here, and purchase here. (BTW, I have no explanation for the accepted pronunciation of “Boatswain” as “Bosun.” I guess we are used to silent w’s, but it’s just one of those weird ones). Retrospect Opera’s plans include a recording of Fête Galante, described as “the most mysterious and magical of [Smyth’s] operas.” The work of Retrospect Opera is already having wide reverberations, as the BBC featured Smyth and the new recording in their “Record Review Podcast” for March, and Opera5 in Toronto is staging a double bill of The Boatswain’s Mate and Fête Galante, June 22-25. More on that in this blog soon. Meanwhile, we are happy to offer Zigler’s engaging review, which includes new insights into the influence of Smyth’s activism on her musical output. This past fall, Retrospect Opera collaborated with conductor Odaline de la Martinez and the Lontano Ensemble to produce the first ever full recording of Smyth’s light English opera, The Boatswain’s Mate (1916). The double-CD project is sure to be a must-listen for Smyth enthusiasts as well as all comic opera connoisseurs. Not only does it include the full opera, but the set also includes recordings of extracts of the opera from 1916 that Smyth conducted, as well as Smyth’s conducting of The Wreckers overture in 1930. Once again, de la Martinez, who has conducted Smyth’s works in the past, has brought a long-forgotten work out of the shadows. Because of its chronological place in Smyth’s biography, The Boatswain’s Mate is often tied to her efforts in the Suffrage movement. In 1910, Smyth attended a rally and heard Emmeline Pankhurst speak; she was so moved that she took a two-year sabbatical from music to aid the cause. 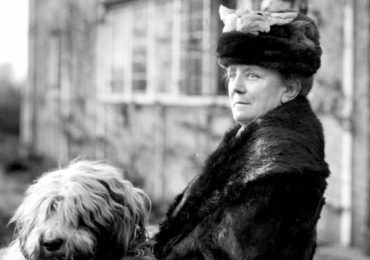 Between 1910 and 1912, Smyth became an ardent member of the militant wing of the Suffrage movement, participating in the activities of the Women’s Social and Political Union. She threw bricks at windows and lead the women in song in prison. As the activities of the Suffragettes grew more dire, and as Pankhurst engaged in increasing numbers of hunger strikes, Smyth distanced herself from Pankhurst and the movement, both figuratively and literally. Between 1913 and 1914, Smyth lived in Helouan near Cairo (that’s Egypt, not Illinois). There she composed a work quite different from her earlier compositions, such as her violin sonata or The Wreckers. 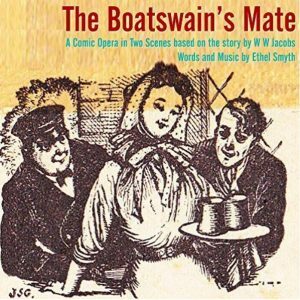 The Boatswain’s Mate is, in Smyth’s words, “a comic opera in one act (two parts),” following in the footsteps of Gilbert and Sullivan. However, while the first part is in the tradition of the comic ballad opera – with spoken dialogue and quoted popular songs – the second part is in the vein of a music drama that is sung throughout. The first part succeeds in introducing us to the characters and setting up the plot, but the second part is where the tension and conflict occur. While mixing two sub-genres of opera might seem confusing, Smyth does so to further delineate the differences between the two parts. The opera is based on three characters from a story by W.W. Jacobs. Mrs. Waters (played by Nadine Benjamin) is a widow, approximately twenty-eight years old, who has sworn off love and men, and who single-handedly runs The Beehive Inn. One of her regular patrons is Mr. Benn (played by Edward Lee), who is not-so-secretly in love with her and determined to convince Mrs. Waters to marry him. Their détente is broken by the newcomer, a foreign traveler and ex-soldier named Ned Travers (played by Jeremy Huw Williams). While Mrs. Waters is away Mr. Benn befriends Travers and convinces him to engage in a plot to win over Mrs. Waters. Travers is supposed to break into her house that night, and when she runs frightened into the street, she will run straight into the arms of Mr. Benn, who will “rescue” her. However, Mrs. Waters is an independent and feisty inn owner, and when Travers breaks in, she pulls out a shotgun. As Travers is confessing the true nature of the plot, the two realize they might be attracted to each other (one of the stranger points of Smyth’s adaptation). They together decide to turn the tables on Mr. Benn and convince him she shot Travers! A policeman appears in the scene (played by Simon Wildung), a quartet ensues, and all ends with confusion and a bruised ego. Mrs. Waters even sings to Mr. Benn, “Now, Mr. Benn, when you sit in the bar talking nonsense by the hour, and calling for glass after glass, I’ve often enough warned you; and now it has come to this!” She dismisses the policeman who is asking for a corpse, and he and Mr. Benn are pushed out the door and off stage. In the final scene, Mrs. Waters and Travers are alone, and the audience is left wondering the fate of these two characters, and if Mrs. Waters will open her heart again? 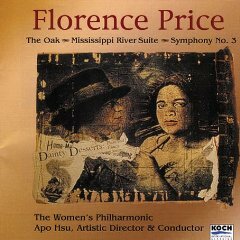 The entire ensemble produced a superb work in this recording. The soprano Nadine Benjamin captures the nuances of Mrs. Waters’ character, giving her wisdom but also youthfulness. In her first aria, “What if I were young again,” Ms. Benjamin’s voice floats over arpeggiated cellos in the pastoral key of F major for the first two stanzas. On the third stanza, Smyth reharmonizes the passage with chromatic harmonies that underscore the text, “What if one were waiting there, waiting for me? … The desire of our young hearts calling…” Ms. Benjamin deftly conveys the quiet unfulfilled longing of the character in this moment. On the other hand, Edward Lee’s performance of Mr. Benn is so captivating that you can almost see his facial expressions and grand gestures, often needed to carry a comedic role. Finally, Jeremy Huw Williams, playing the role of Ned Travers, offers a more three-dimensional antidote to Mr. Benn’s often histrionic character. Without going into a great deal of theoretical analysis, a few musical elements are significant and should be mentioned. 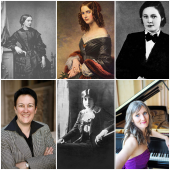 Scholars and performers debate the labeling of this work as a “feminist opera”, but Smyth informs us in musical ways that this opera was at least in part inspired by her time with the Suffragettes. The most obvious example is the quotation in the overture of “The March of the Women”, Smyth’s choral anthem composed in 1910 for the Suffrage movement. In fact, Smyth highlights the melody by changing the orchestration from strings for the opening material to winds for the Suffrage theme, making it a central focus of the overture. There is another clue that Smyth connected the work with the Suffrage movement. The opening material of the overture also incorporates a variation of the second theme from the fourth movement of the String Quartet in E minor, completed in 1912. In letters to Pankhurst Smyth had declared this movement a representation of the Suffrage movement. Thus Smyth’s incorporation of a melody from the “Suffrage” movement in this opera composed after her stint with the Suffragettes, surely was not an accident or a coincidence. As someone who spends quite a large amount of time with Smyth’s music, it was exciting to hear this hidden clue. I am delighted that Retrospect Opera has released this recording. The producers, conductor, singers and orchestra members together have contributed significantly to Smyth’s legacy. It is my hope that this recording inspires other companies to produce the work, and that it will foster scholarship of her post-war period.